Hey guys! I have this amazing new product to share with you. While at work, and being educated on skincare the other cast members, and myself swatched this product on our hands. I fell in love with the smell, and how soft it left my skin. This mask is a firming and tightening treatment helping the skins elasticity and pores. 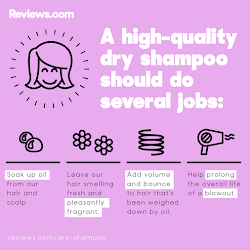 It is free of sulfates, parables, and phthalates. It works well for all skin types especially for dry skin, because dry skin tends to age quicker than other skin types. The dehydration from dry skin causes deflation of the skin cells leading to fine lines. The mask comes with a fabulous synthetic brush that is extremely soft. Make sure to always clean your brush after every use with soap and water. Don't forget to use the brush when applying this mask to avoid contamination. Be generous when distributing the mask evenly on your face leave it on for 20-30 minutes. Avoid getting it into your hairline, eyebrows, and eyes. The color will change from white to an intense chrome. I looked like the Tin Man from Wizard Of Oz! haha Once it is completely dry peel off the edges and clean off the excess with warm water. This mask smells like delicious coconut, and left my skin feeling amazingly smooth! Unlike some masks that hurt when you peel them off (UMM.. Ya Boscia's Black Mask!!) this is extraneously gentle primarily if you have sensitive skin. Use this mask once to twice a week to see results. I hope you all give this a try don't be scared to go into your local Sephora and ask a Skin Care Consultant for a sample. Awesome! Can't wait to try!